Producing high-quality, shippable rolls directly off your film line presents an ideal situation. Increased productivity, lower manufacturing costs, decreased scrap and shortened production cycles all add up to savings and profits. It is estimated that eliminating off-line slitting and rewinding can save between $0.05 and $0.10 per pound in production costs. Process consistency – The process quality of the material being produced must be consistent. Cutting off-quality production out of 12 slit rolls instead of one parent roll can significantly impact production costs. Today’s automated process control systems substantially reduce off-quality process problems. 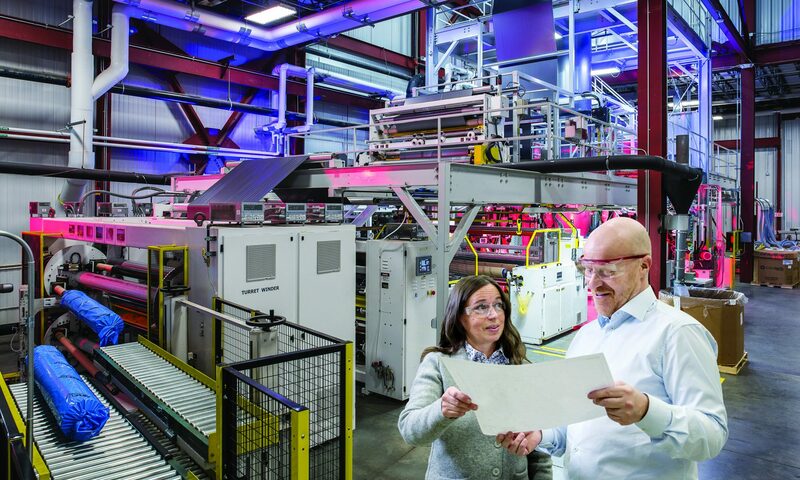 Efficient changeover time – Today’s automated slitter positioning systems and automated roll and recoring systems permit fast and efficient set-width changes, roll changes and recoring. Note: Even with these automated systems, long production runs of products and widths are required for the benefits to be realized. 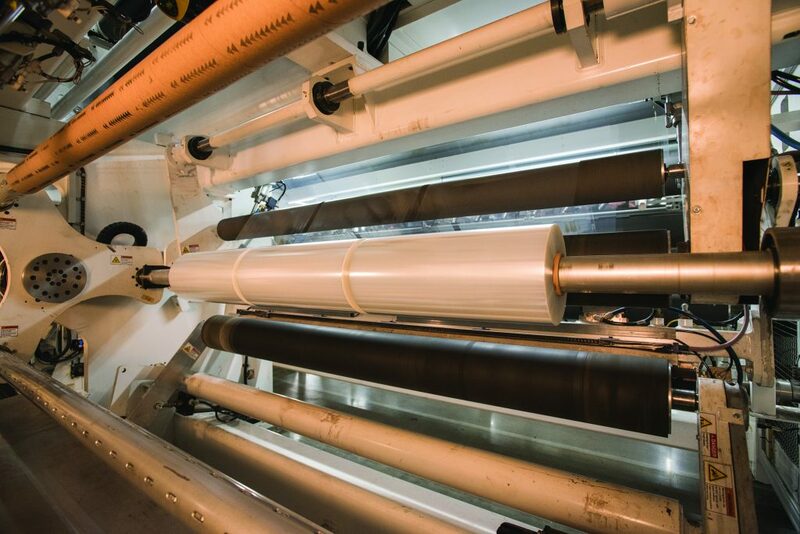 Ability to spread and wind shippable quality rolls – The winder must have a properly designed slit-web spreading system and the ability to use all three of the tension/nip/torque winding principles needed for producing quality wound rolls. (See the previous blog on making better film rolls.) The ability to wind on differential shafts may be required for materials with high cross machine thickness variations that need to be wound to larger diameters. High-quality, high-speed transfers and good starts – New transfer systems produce straight-line cuts and transfer the slit web directly onto the new core. Stationary knife transfer concepts provide 100 percent roll change consistency regardless of web width or speed of the operation. This is essential for clean web starts on new cores. Scrap generation during roll-change operation – Quality rolls require that first and last wraps are as good as those in between. Controlled tension, nip and torque must be maintained throughout the entire winding cycle, including during the roll change to make this possible. Core size consideration – As production lines increase in width and speed, the core shaft critical speed and deflection criteria determine the minimum core ID (inside diameter) for material winding. Just by taking a single center slit, the stiffness of the roll can no longer contribute to the stiffness of the shaft. Off-line slitting and rewinding will still be required for customers that require small core sizes. If any of these requirements are not met, the Cons for in-line slitting result in lost production on your process line, increased production cost, increased scrap and even lost customers! Be sure to consider all of the above when evaluating if inline slitting can make you a Pro in your markets. For more information on meeting your winding requirements, contact marketing@davis-standard.com. Previous PostPrevious Making Better Film Rolls, One Wind at a Time!